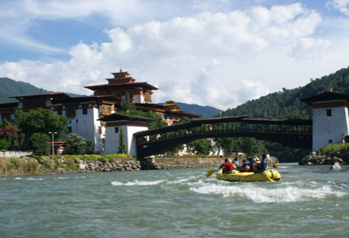 Destination Covered : Paro - Kyichu Lhakhang - Thimphu - Gangtey - Punakha. The Jowo Temple of Kyichu is one of the oldest temples in Bhutan, originally built in the 7th century by the Tibetan Emperor Songtsen Gampo. It is considered to be one of the 108 border taming temples he built. 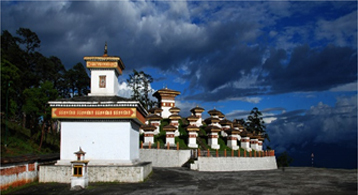 In the 8th century the temple was visited by Padmasambhava and it is believed he concealed many spiritual treasures here. Je Khenpo Sherab Gyaltshen wrote that during the 12th century the temple was looked after by the Lhapa Kagyu tradition and that during the 13th century it was handed over to a descendant of Phajo Drugom Zhigpo's son Nyima. In his The Nyingma School of Tibetan Buddhism: Its Fundamentals and History, Jigdral Yeshe Dorje (2nd Dudjom Rinpoche) records that the Jowo Temple of Kyichu could not be seen and that Pema Lingpa (1450-1521) uncovered the temple and restored it as it was before. 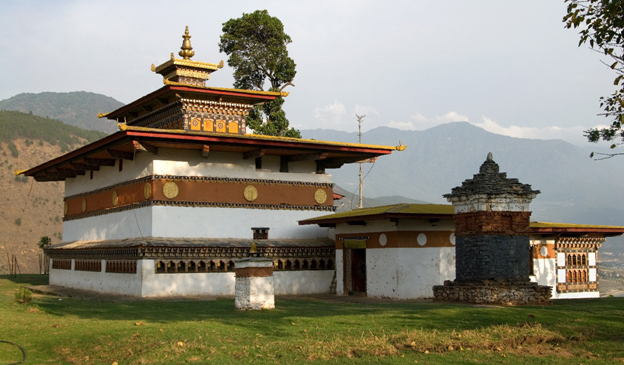 In 1644 the temple was taken over by Ngawang Namgyal. From 1836 to 1838 the temple was restored and re-consecrated by the 25th Je Khenpo Sherab Gyaltshen. In 1971, Kesang Choden Wangchuck, the queen of Jigme Dorji Wangchuck built a Guru Temple next to the old Jowo Temple which was consecrated by Dilgo Khyentse. Ever since then the annual rites of great accomplishment for the deities Vajrasattva, Palchen Heruka, and Vajrakilaya have been held in this temple for the well being of the country under the patronage of Kesang Choden Wangchuck. 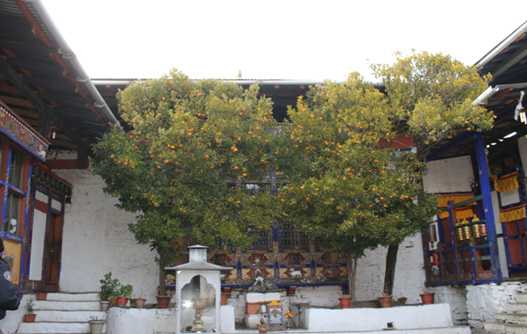 There is a belief that the two orange trees in the courtyard of Kyichu Lhakhang bear fruit throughout the year.(Source:Wiki). So this Lhakhangs . 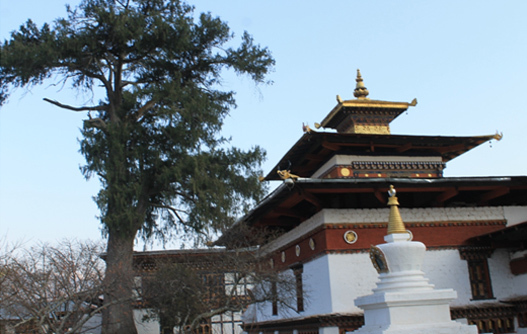 With all its historical background, this lhakhang is best suitable for marriage. 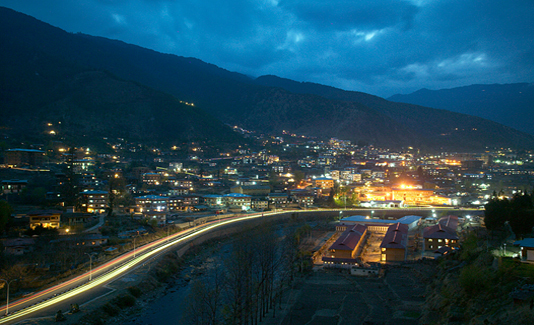 The valley is popular for its scenic splendor and cultural uniqueness.. Phobjikha is well known as the winter home of the Black-Necked Cranes (Grus Nigricollis), that migrate from the Tibetan plateau. The birds can be observed from early November to end of March. Overlooking the valley is the Gangtey Goenpa. This is the must included place for honeymoon vacation. You may reach Gangtey in the evening. On the first day you can just relax and enjoy the scenic beauty and the tranquility of Gang tey valley. 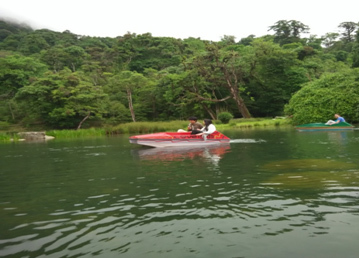 The places recommended are 1.RKPO Resort 2. Dewachen Resort, Gangtey lodge. 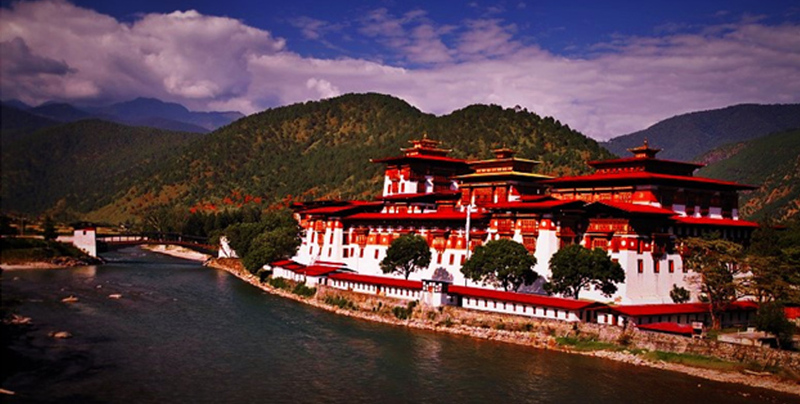 Punakha Dzong is a fortress that was built by Shabdrung Ngawang Namgyel in 1637-38. The Je Khenpo (the religious head of Bhutan) spends his winters here. 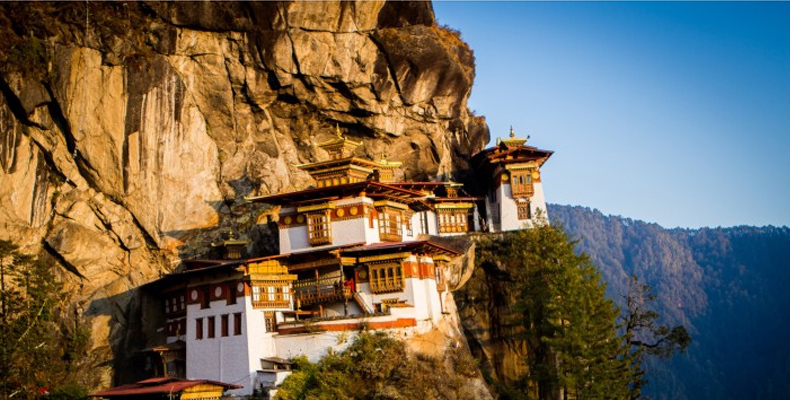 It is one of Bhutan's most attractive landmarks and has survived 6 fires, 2 glacial lake outbursts, and 1 massive earthquake. It was built at the confluence of the Mo Chhu and the Pho Chhu, which is considered an auspicious location. 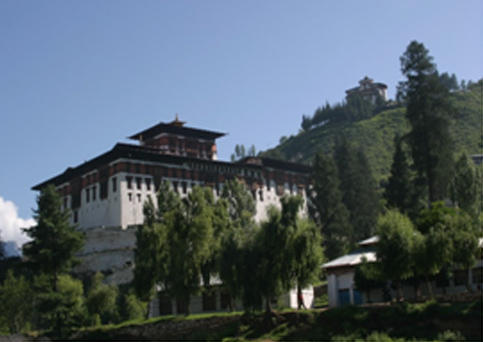 The Punakha Dzong was the site of the coronation of Sir Ugen Wangchuck as the first hereditary monarch of Bhutan in 1907. More recently, the coronation of His Majesty Jigme Khesar Namgyel Wangchuck, the 5th King of Bhutan, was held here on October 31, 2008. 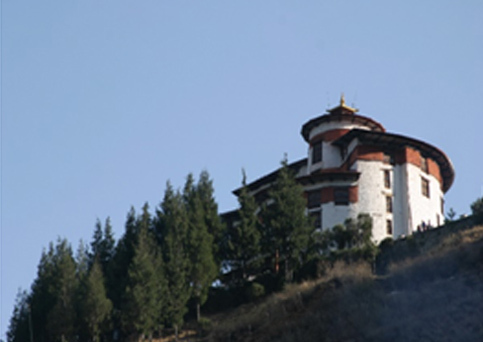 Chimi Lhakhang, which stands on a small hillock is a temple built by Lama Drukpa Kunley. Legend has it he subdued the demoness of the Dochu La with his "Magic Thunderbolt of Wisdom. 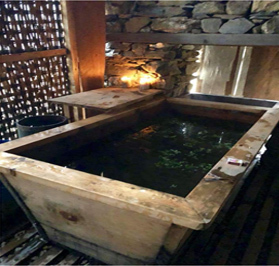 "A wood effigy of the lama's thunderbolt is preserved in the Lhakhang, and childless women go to the temple to receive a Wang (blessing) from the saint. Note: Gangtey Trek would be a nice and short trek for honemoon vacation. If you have more days to stay in Bhutan. 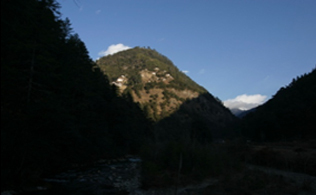 We can include Gangtey trek in your honey moon Itinerary. 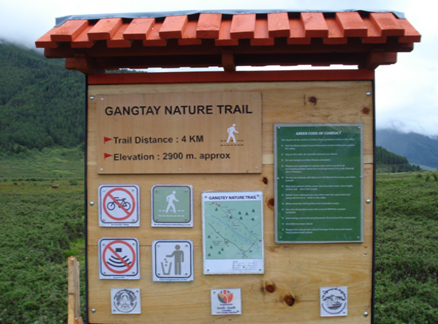 For more information on Gangtey Trek, you can visit Gangtey Trek.